You can create a reference by importing a PDF document into your EndNote library. 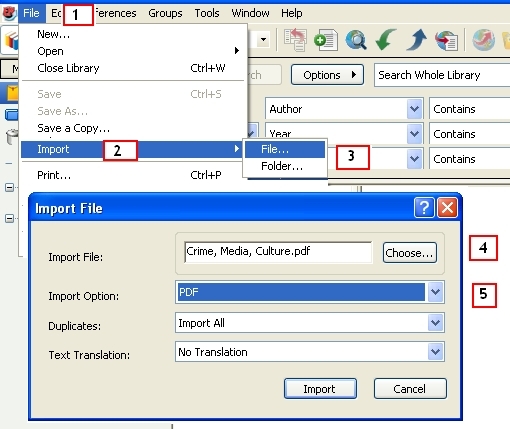 What happens when you import PDF files into EndNote? The references for these PDFs appear in your Library. EndNote will create a record for each PDF and attach a copy of the PDF to the record. This function does NOT work properly if the PDF is scanned or if it does NOT have a DOI*. In such cases the reference will only contain the PDF, and you will need to fill out the fields manually. From the File menu select Import, then select File to open the 'Import File' window. From the File menu select Import, then select Folder to open the Import Folder window. 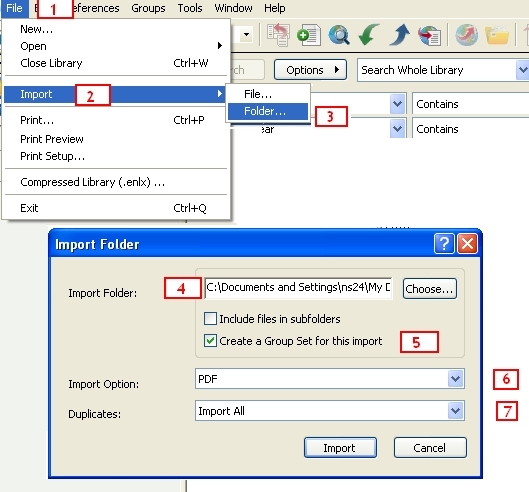 In Import Folder, click on Choose to select the folder that includes the PDFs you wish to import.